Cloning (ad hoc reuse by duplication of design or code) speeds up development, but also hinders future maintenance. Cloning also hints at reuse opportunities that, if exploited systematically, might have positive impact on development and maintenance productivity. Unstable requirements and tight schedules pose unique challenges for Web Application engineering that encourage cloning. We conducted a systematic study of cloning in 17 Web Applications of different sizes, developed using a range of Web technologies, and serving diverse purposes. We found cloning rates 17-63% in both newly developed and already maintained Web Applications. 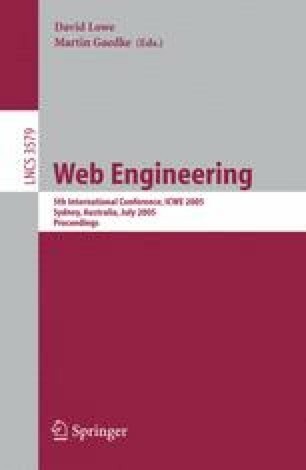 Contribution of this paper is two-fold: (1) our results confirm potential benefits of reuse-based methods in addressing the key challenges of Web engineering, and (2) a framework of metrics and presentation views that we defined and applied in our study may be useful in other similar studies.